This is a new nursing role that will bridge the gap between the roles of the healthcare assistant and registered nurse. 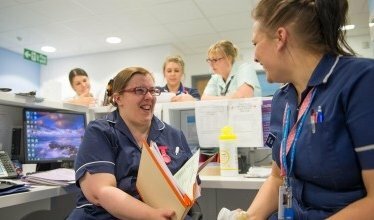 The Apprentice Trainee Nursing Associate is a 2-year programme being developed in partnership with the Nursing Midwifery Council leading to qualification as a Nursing Associate. The programme will include placements in a variety of adult care settings both in SATH and external to the organisation. You will be studying with Staffordshire University from their Faculty of Health based at the Shrewsbury site. Applications are now open - click here. To sign up for updates fill in the form below. This will be no less than your current salary, but not above a band 3. Once qualified and in post as a Nursing Associate, you will move to a Band 4. What happens if am unable to continue with the programme ? You will be seconded from your current post, should you decide to with draw from the course or fail to complete the programme the Trust will find you a HCA or equivalent post but there are no guarantees it will be in the department you are seconded from . Do I still get annual leave? You will be entitled to your current annual leave allowance, but some annual leave may be predetermined by the University whilst on the programme. I am a Bank HCA, can I still apply? During the 2 year period of the course you will be required to work full time (37.5 hrs). This is to ensure you can meet the practice hours require for the programme and provide you with the exposure and experience to achieve your competencies. There is expectation that you work flexible and will be rostered to do day, night and weekend shifts. Fixed shift patterns are not possible due to the commitments of the course programme. Do I get time off to study? You will have 1 University study day a week. There may be , further study days to support your academic and clinical practice which will be determined once you commence the course. For your remaining hours you will be working in the clinical environment as part of the ward team. You are not supernumery. Where do I go once I have completed the course? 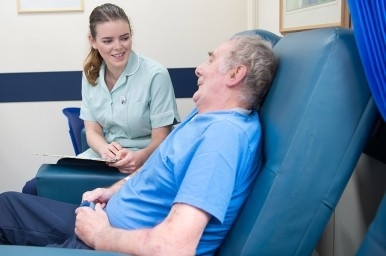 On completion of the course you will be offered a job as a Nursing Associate in the Trust, where this will be, will be determined towards the end of your programme and maybe through a formal selection process. Can I choose where I do my placements? During the programme you will be placed in a base ward this will be an acute general adult ward/ department. This may be a different area to where you are currently working.